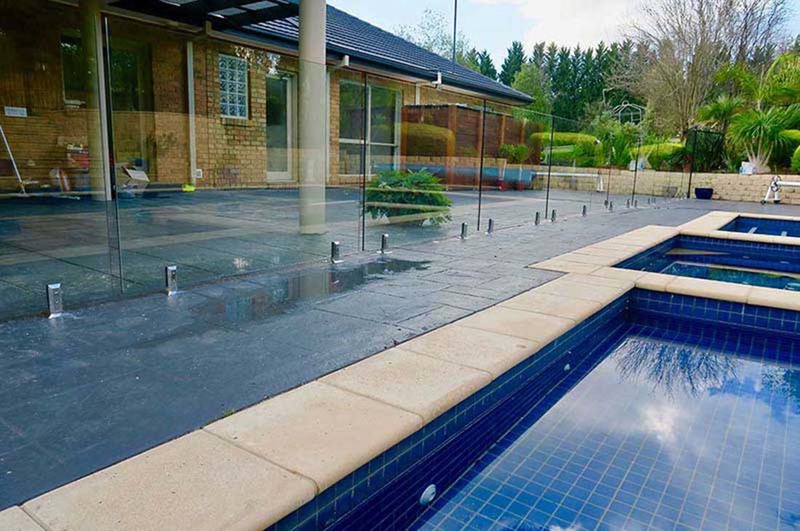 This Zero Edge frameless glass pool fencing installation is a great modern addition to a family home, which has renewed its outdoor living space. Bacchus Marsh, 50 kilometres northwest of Melbourne is a family friendly locality that is a prime focus area for Zero Edge frameless glass solutions. Beautiful older homes such as this are being renovated and new communities are being built. The Zero Edge team was delighted to be part of this pool refurbishment project in Bacchus Marsh. The glass fence installation was intended to add a modern touch to this family home while providing extra safety around the newly revamped pool and entertaining space. We used our high quality 12mm toughened glass from our Melbourne Glass Fencing range, sourced from our trusted manufacturer. 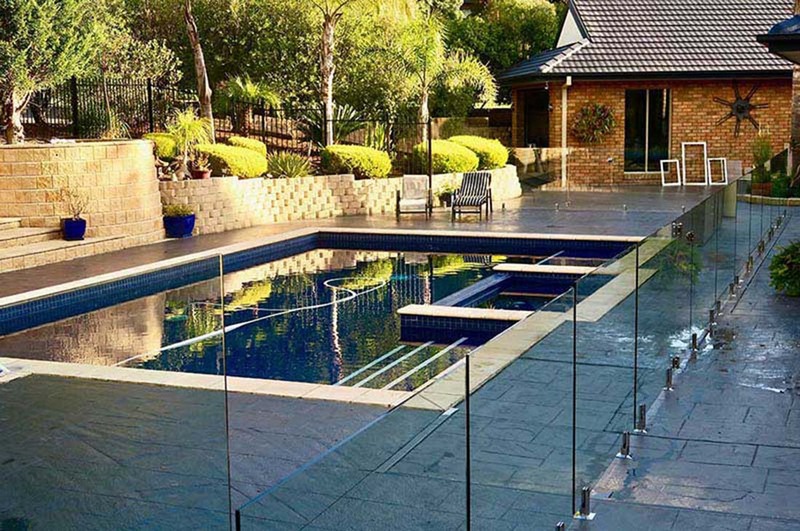 Zero Edge are the cheap glass pool fencing experts, only providing you with the highest quality products. Our standard toughened glass adheres to the relevant Australian Building Codes. It is natural in colour, which means it is clear with a green/black edging: the natural result of glass production. You can learn more about glass on our FAQ Page. The Spigots used for this Bacchus Marsh frameless glass pool fence are 2205 Duplex Grade Stainless Steel in a polished finish. They add a timeless look to the fence and are easy to maintain. Love the end result and want to enquire about how we can enhance your space like we did in Bacchus Marsh, Melbourne? Call us to arrange an obligation free measure and quote.